The drawing was the day after Christmas in 2018. David Johnson of Brooklyn, New York, purchased the ticket for that drawing, making him the second-largest jackpot winner in New York Lottery history. That one ticket matched all six numbers (05-25-38-52-61 Powerball: 24). Johnson decided to take the cash value of $180,227,550. His take home check was $114,091,248 after the required federal and state withholdings. 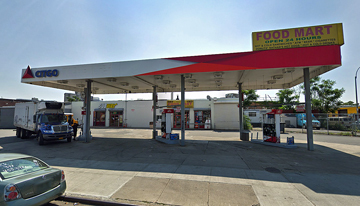 David Johnson bought the ticket at Arnold's Service Station located at 1868 Linden Boulevard in Brooklyn. The gas station is across the street from where Johnson works. purchased his winning Powerball lottery ticket.